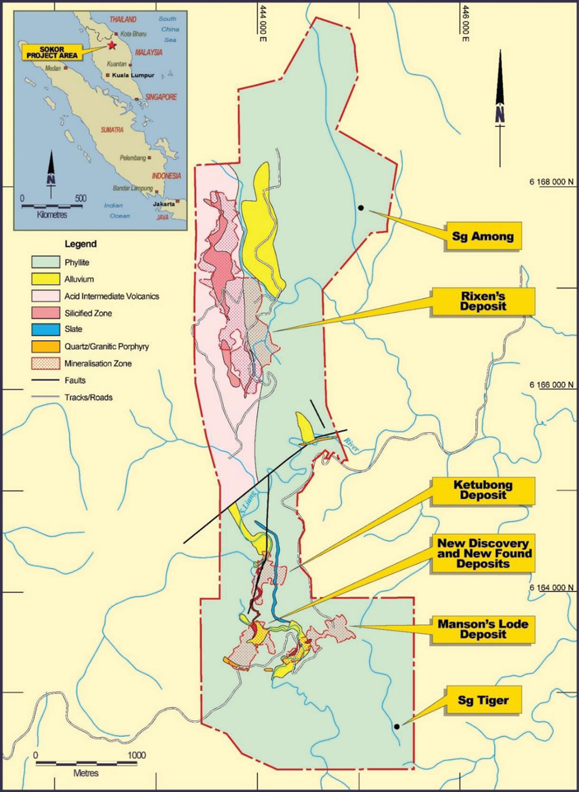 The Sokor Gold Field is the Company’s flagship project. 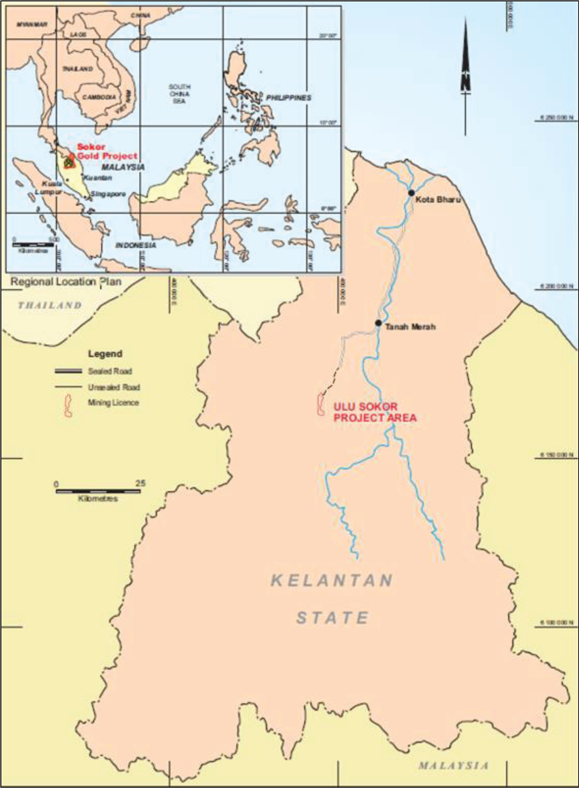 The Sokor Gold Field covers an area of 2,370 acres and it is located in the District of Tanah Merah, Kelantan, Malaysia and it is accessible by travelling southwest from the town of Tanah Merah. The area is underlain by mildly metamorphosed volcanoes of Permian and Triassic age. The Permian rocks are found more towards the eastern part of the area and consist predominantly of phyllite with intercalated limestone, slate, metasandstone and schist. These are overlain by a Triassic sequence of mainly acid to intermediate tuffs and flows, which are largely exposed at the western edge of the area. A combination of haul trucks and excavators are utilized in this open-pit mining operation.